Another productive month this month with some more items to tick off the list! Right now as it stands I’ve completed 15 items, with 37 left to go. Obviously this wasn’t a challenge for my hygiene; I have a shower every day. Ok, I’ll be totally honest; on rare days I don’t shower, but that’s because I have a young baby and it can be a challenge! But I do shower at least every second day, never longer. No, this 52 was about taking some time out of the everyday and relaxing in the bath. Time for me. Earlier in the month we visited the Gold Coast for our first family trip. During the long weekend we went shopping, and I spoiled myself with some bath bombs from Lush. I only got a chance to use one of them, but it was heaven. All I know is that it felt awesome to relax. I even dozed off for a bit as well. The plus side is that I now have another couple still here at home to be used; now to just find some more time for myself! I treated myself for my birthday, and organised a dinner out with friends to my favourite Tapas spot, The Piano Bar. They make amazing espresso martinis here, so I decided that’s what I would treat myself with. The reason for it being a treat? Since it had been over a month since my “last” taste of caffeine (I’m not counting the bits in chocolate) I didn’t take into account how wired I would be. I couldn’t get to sleep until midnight, super super late for me nowadays. The breast milk that we had stored for Luca was back from when I was still drinking caffeine – whoops. So even if I’d used it he would have gotten a shot of caffeine. The fresh stuff we had been using to allow myself time to visit the gym so we didn’t have any on hand. I also had a second different cocktail which came with Turkish Delight on the side! Yum! 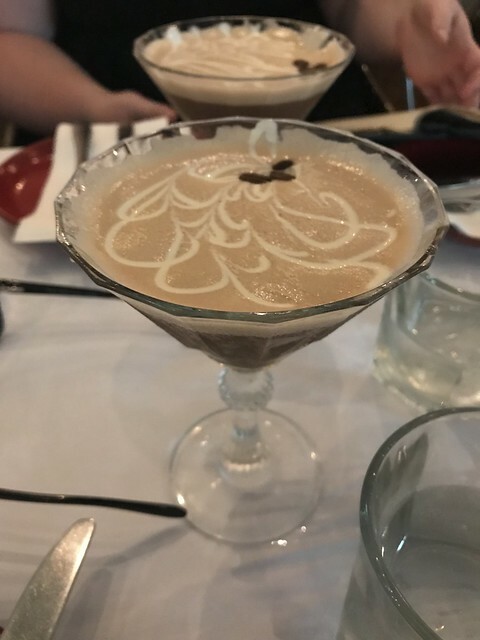 Do I have regrets on the Espresso Martini? Not anymore since time has passed and I’m not still stuck in the night of crappy sleep! This one was completed with the trip to the Gold Coast, click here to read the recap on that one. Ever since we moved into our house we’ve gotten into the bad habit of eating dinner in front of the TV. We have an ottoman, so we’d put our dinner on there (on place mats) and then lean over and eat. Not very classy. Get away from the tech and back to having quality conversation with my husband. I finally got into the groove with this in February, and I’m really enjoying it. It’s also darn nice not to be hunched over trying to eat – I’m way more comfortable now! We smashed this one! We just recently went through a massive clean out of every room in the house, decluttering in a major way. The entire back of the hubby’s ute was filled with donations, from clothing to kitchen equipment. Score! We actually did this one back in January, I just forgot to document it. We had Adam and Chere over for Chere’s birthday, as I wasn’t able to make the official event. It was great fun! I’d like to have people over more often, it’s just a bit of a challenge organising it. Especially when you factor in the need to do Luca’s bed time routine etc. As he gets a bit older I’m hoping this one will get a bit easier. So that’s it! Another month down and more items off the list! Now to try and plan for March. Thank you! I’m loving following your journey along too, so excited for you! 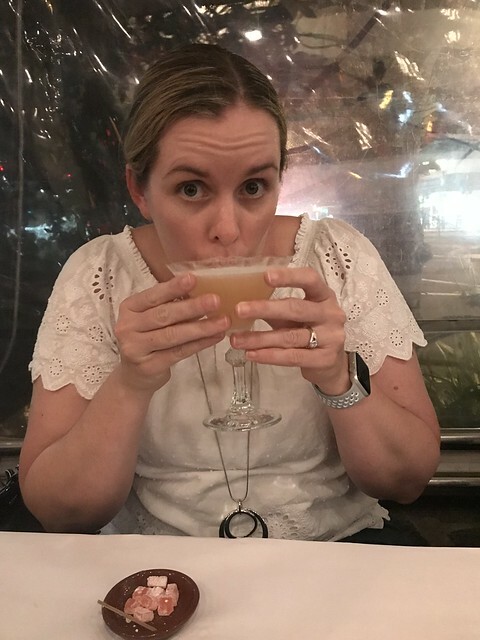 I had a newfound love for fruit after having the odd mocktail while I was pregnant (it was when I was hiding my pregnancy from people and had to look like I was drinking haha). And an early happy birthday! It’s so much fun! Simple, easy things and it makes the year feel productive. How good is it ticking things off a list… and a great list it is too! Oh I love LUSH, now I totally want a bath! And I love your 52 in 52! What a fun idea. Looking forward to keeping up with your list! i love this 52 in 52 idea! I really love this! Even though the tasks are simple, it’s easy to forget that me time we all really need. I love learning about fun tricks to remind me, thanks for sharing! Oh this is such a great ideas of 52 in 52 list! I love it.